Some Americans seem to equate Italian music with O Sole Mio and Funiculì Funiculà. Meaning no disrespect to these great songs, Italy has a popular music tradition that provides strong competition to popular and rock music from other countries such as the United States and England. I would divide Italian popular music into four different categories, overlapping to some extent. Italian music has seen many changes over the past forty years. I still remember the songs that characterized my youth: Volare, by Domenico Modugno, Sapore di Sale, Abbronzatissima!, Fatti mandare dalla Mamma, Azzurro. We are talking about the lighthearted Italian 1960s. Any Italian who was around at the time will never forget other iconic songs of the time, such as Vengo anch’io – no tu no!, by Enzo Iannacci, a dentist-come-songwriter. This was the period when wild young stars like Mina, Rita Pavone, Adriano Celentano, Gianni Morandi first appeared. The period of the 1960s and 1970s sees the great success of the Italian “cantautori“, singer songwriters. Gino Paoli, Luigi Tenco, Bruno Lauzi and Sergio Endrigo can be counted among the most representatives. 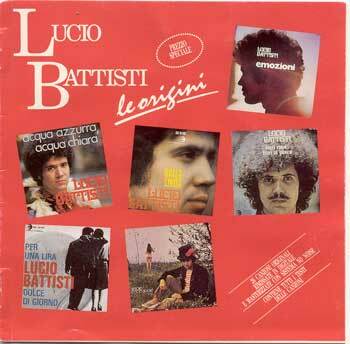 No one has however reached the popularity of Lucio Battisti. He alone, among Italian singers, could be compared in popularity to the Beatles or Simon and Garfunkel: the majority of Italians between the age of 15 and 60 is very likely able to name and sing at least one of his songs. Most of Battisti’ lyrics were penned by Mogol: often romantic and usually non-political, the duo Battisti-Mogol produced, in fact, the perfect “date” music. After the middle of the 70s, when young Italians became more politically conscious and expected music to reflect such a change, Battisti lost some of his audience only to gain it once again in the 80s and 90s.Young Italians still play Battisti songs and I consider his albums ‘the top’ in Italian music. For anyone interested in Italian Music, the Best of Battisti is an absolute must buy. La canzone del sole, Il mio canto Libero, La collina dei Ciliegi, Acqua Azzurra acqua chiara, and many many other songs are the best of the best. Melodic style gave way in the 70s to a new style of music. Woodstock with Jimmie Hendrix, The Who, Janis Joplin, Credence Clearwater Revival, Eric Clapton and many others changed the story of music forever in England and the United States. They were followed more recently by Vasco Rossi, Ligabue and Zucchero. In Italy, Italian rock gives US-style rock a run for its money in terms of popularity. At the end of 2004, Vasco Rossi gave a free concert with an unheard-of audience for an Italian singer of 300,000 spectators, that happily stood under the rain. His crowd was surpassed only by the free concert that Simon and Garfunckel gave in front of the Colosseum in Rome in the Summer of the same year 2004 where crowds reached more than 500,000. The first of the singer-songwriters is poet-singer Fabrizio De André. We could compare him with Bob Dylan, even though his work has been influenced much more by French poetry and chansonniers. 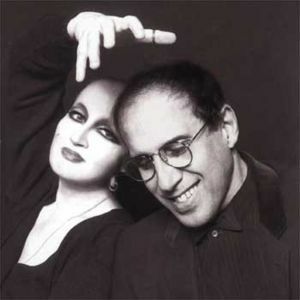 De Andre’ wrote wonderful songs like La canzone di Marinella, Bocca di rosa and La guerra di Piero (an anti-war song that I had to study in my school, together with Bob Dylan “Blowing in the Wind”). There are also cross-over artists: Edoardo Bennato writes and sings rock songs, but with a clear political meaning even if he claims that “Sono Solo Canzonette” (They are just simple songs) as he does in one of his songs. Singer songwriter Antonello Venditti: ” Sotto il segno dei pesci” is probably his most famous album and “Roma Capoccia” his most famous song. Poet and ballad singer-songwriter Francesco De Gregori: “Rimmel” is probably his best album, but you can find most of its songs in the compilation “Il bandito e il campione”, an album that contains also a few new songs. Political singer-songwriter Francesco Guccini, who started his career with “Due anni dopo” (1970), “L’Isola non trovata” (1970) and reached fame with “Radici” (1972) and “Via Paolo Fabbri 43” (1976). I stopped following him for a while, then I enjoyed his 1996’s album “Amore, morte ed altre sciocchezze”. A great live is Album Concerto (along with Nomadi, 1979) a double album with a collections of songs. Lucio Dalla, from Bologna, began his career in a jazz band and proceeded to develop his own style. Towards the end of his career, he also created theatrical scores. Italian music comprises excellent singers and performers, whose style models are french-cabaret / light jazz-oriented – such as the piano player Paolo Conte – inspired by blues – as in the neapolitan music of Pino Daniele – or even based on ancient, medieval-style music and folk songs, best seen in the violin music of Angelo Branduardi (‘La pulce d’acqua’). Singer-songwriting has today embarked in new musical territory with Italian rap singers Jovanotti (who has eventually changed direction and went more melodic) and Fedez, or the highly intellectualized work of Franco Battiato. There has also been a revival of opera-like romantic singing, which reached its height with stars such as Andrea Bocelli, following the outstanding worldwide success of the song Caruso, by Lucio Dalla.